Ceramic tile is infinitely versatile. It is also sustainable. 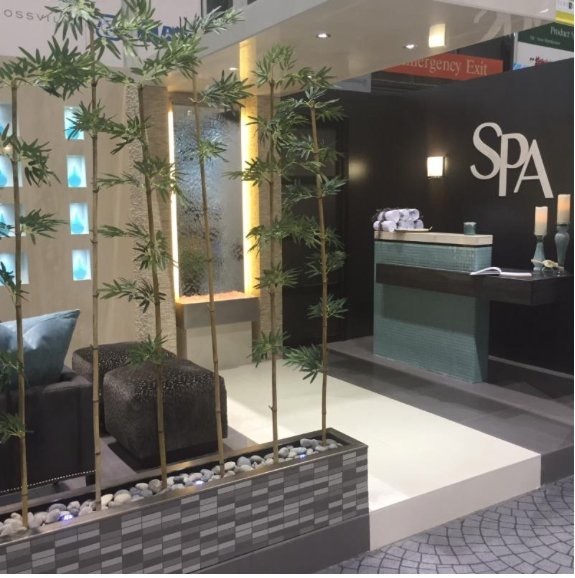 And, in the case of the Spa Lobby created during Coverings16 Installation Design Showcase, it is also the stuff of healing environments that engage all five senses. That's thanks to inspired design from Healing Environments and expert tile installers. In this article, we connect with Susan El-Naggar, ASID, NCIDQ, LEED Green Associate. 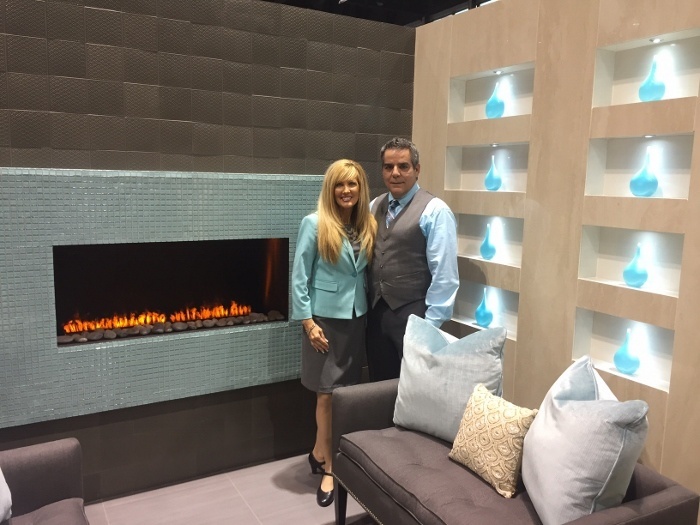 co-founder with her husband Tarik El-Naggar, AIA, of architecture and interior design firm, Healing Environments to learn more about the experience of bringing together inspired design with expert tile installation. "The design team from Healing Environments, led by Susan El-Naggar, will illustrate the firm’s commitment to creating healthy environments that promote healing and inner peace. Their spa lobby vignette has a strong focus on sustainability, utilizing Biophilic Design practices, and will incorporate a variety of versatile stone & tile materials from Crossville for a synergistic space." To bring to life this spa lobby and ensure that it successfully creates an experience for the five senses, Healing Environments teamed up with first-time Installation Design Showcase participants from Trostrud Mosaic & Tile, a third-generation family firm based in the greater Chicago area with a strong commitment to the highest degree of quality and technical accuracy. CTEF: Tell us about your company, Healing Environments. SEN: The focus of our Architecture and Interior Design firm, Healing Environments, is to create healthy environments that promote healing and inner peace for the whole client - mind, body, and spirit - through green and sustainable design. We were very excited to work with Crossville, since it is the first manufacturer to earn Green Squared certification - the highest sustainability standard in the industry. 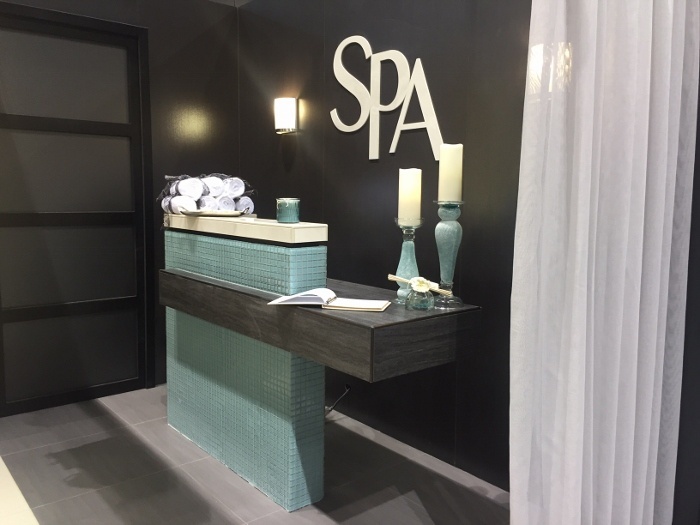 CTEF: Susan, how did you get involved in the Installation Design Showcase at Coverings16? 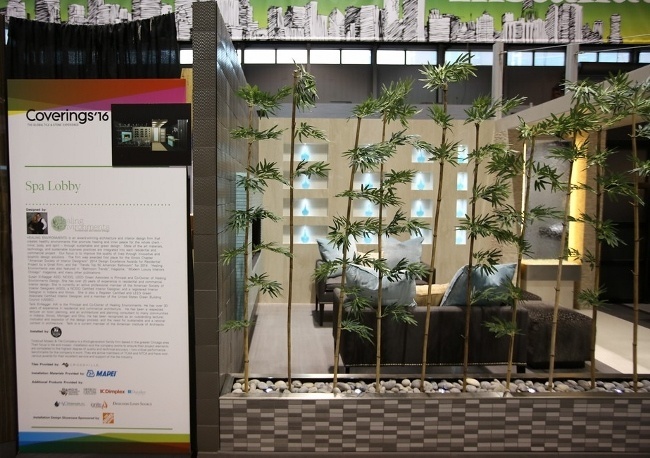 SEN: As owners of Healing Environments, my husband (Tarik) and I were one of four Architecture and Interior Design firms selected to participate in this year’s "Coverings '16 Installation Design Showcase." We chose to participate for our first time because it is North America's largest and most prestigious event for the tile and stone industry. Thousands of people from over 40 countries attend this enormous event. We felt it was a great opportunity to showcase a "healthy environment" by focusing on sustainable, and versatile stone and tile. CTEF: Which ceramic tile products did you use in your design and what inspired you to select those products? 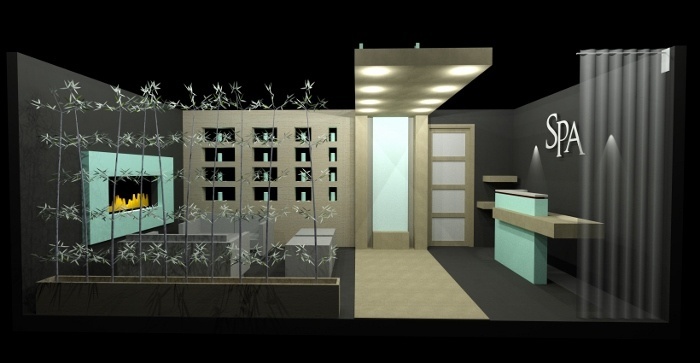 SEN: After much thought, we decided to design an urban chic “Spa Lobby” vignette utilizing Biophilic Design. Our Spa Lobby was all about “experiencing” the luxury space through the five senses. Muted tones of grey and cream with an accent color of aqua was used throughout as the color scheme. To create a relaxing, peaceful atmosphere, the focal point of our vignette was a floor to ceiling water feature. There was a path leading up to it in a 24” x 24” Shades tile in a cream color (Vapor). We incorporated an Opti-Myst fireplace into the sitting area with a 6” x 6” Mixology Deco tile on the façade and a Mosaic Glass Blox tile in Aqua around the perimeter of the opening. We really liked the textured metal-look on the fireplace. We also used the Aqua Glass Blox on the front desk to balance out the space. Sixteen tear-drop custom glass vases were placed in each niche to compliment the Aqua Glass Blox mosaic tile. We applied Laminam Travertino Romano Polished to the niche wall which added a sophisticated look. Finally, a Laminam, Filo Ghisa, was used behind the front desk to give a polished metal look with a dramatic effect. CTEF: What were some of the difficult installation aspects of your design that a lesser competent crew would have had difficulty with? SEN: One complex aspect of our design was the ceiling panel incorporated into the space. The Laminam tile - a large size, thin porcelain panel - utilized on the ceiling allowed us to cover the large area of space with a contemporary look. CTEF: How did Trostrud Mosaic & Tile stand out as expert quality tile installers? SEN: Trostrud Mosaic & Tile were very professional and did an excellent job throughout the whole process of the buildout. Some of the tile work was very intricate and detailed, such as the front desk, and the team was able to execute the design as we envisioned. CTEF: How can readers contact you and your company? SEN: You can contact Healing Environments by email, elnaggarsusan@gmail.com or by phone 219-689-6058. CTEF: Thank you, Susan, and congratulations on creating a truly soothing space with tile! What has your experience been designing a space with tile? How successful were you creating a space that engaged all five senses to bring inner peace?